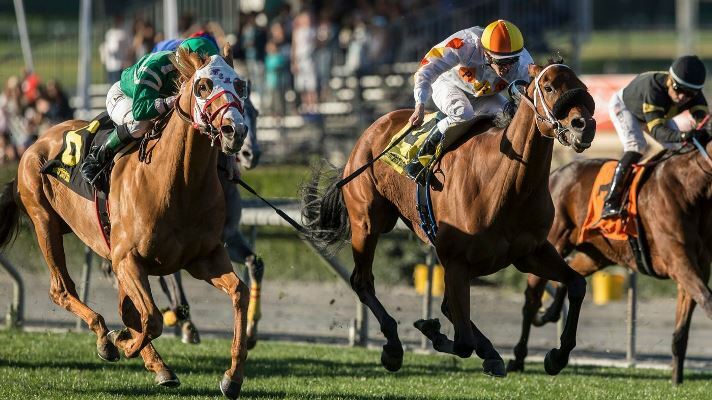 My objective is to inspire participation in California Thoroughbred racing by sharing my experience as an owner. Ownership is not for everyone. But for those with a little disposable income, who have patience and can handle the frustration and heartaches, there is nothing like the challenge, enjoyment and potential rewards from managing your stable of racehorses and watching these wonderful animals perform. 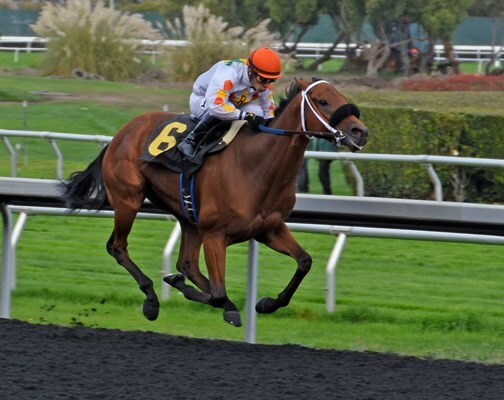 Learn more about California Thoroughbred racing! Camino Del Paraiso, ridden by Flavien Prat, finished second in the 28th running of the $200,000 Unusual Heat Turf Classic at a mile and 1/8 on Cal-Cup Day. Although able to gain the lead in the stretch despite having clipped heals as he made his move on the far turn, he lost by a head at the wire. 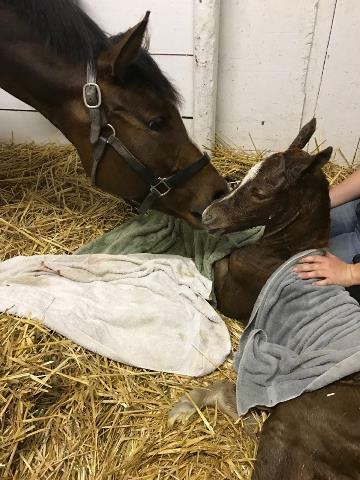 Frisco Fog foaled her first baby late today at Woodbridge Farm. Camino Del Paraiso, with Ricky Gonzalez up, came from off the pace to win at GGF by 3 lengths going away. In another tough, first-level, open allowance race at 1 1/8 miles on the Tapeta, Camino was only 1/5 off the track record and came home in 12.03 for the impressive win. Off as the 7th choice in a field of nine Cal-bred or sired maidens, Camino Del Paraiso, with Tiago Pereira riding, won impressively. In the mile race on the turf, he came out strong, moved to the lead at the top of the stretch, and held to win by 1/2 length. Julien Couton, riding him for the first time, took Arthur's Honor to the front and went gate-to-wire, with a much improved speed performance over the 6 furlongs on the Tapeta track. The horse slaughter controversy is not going to go away. Check out this thought-provoking article. American Pharoah wins the Breeders' Cup Classic with Victor Espinoza riding at Keenland Race Track in Lexington, KY.
June 6, 2015 - American Pharoah - Triple Crown Winner! As the odds-on favorite at 3 / 4, American Pharoah captured the first Triple Crown since 1978 and the 12th overall in a commanding performance in the Belmont Stakes. Jockey Victor Espinoza charged to an early lead and led throughout, stretching out his advantage down the home stretch. Frosted held on for second place, while Keen Ice charged down the stretch for third. Tonalist won the 146th Belmont Stakes Saturday, denying the heavily favored California Chrome his chance to become the first Triple Crown winner in 36 years. Instead of a historic win by California Chrome, the huge crowd at Belmont Park witnessed a dramatic finish in which Tonalist, ridden by Joel Rosario, overtook Commissioner in his last strides to win by a head.